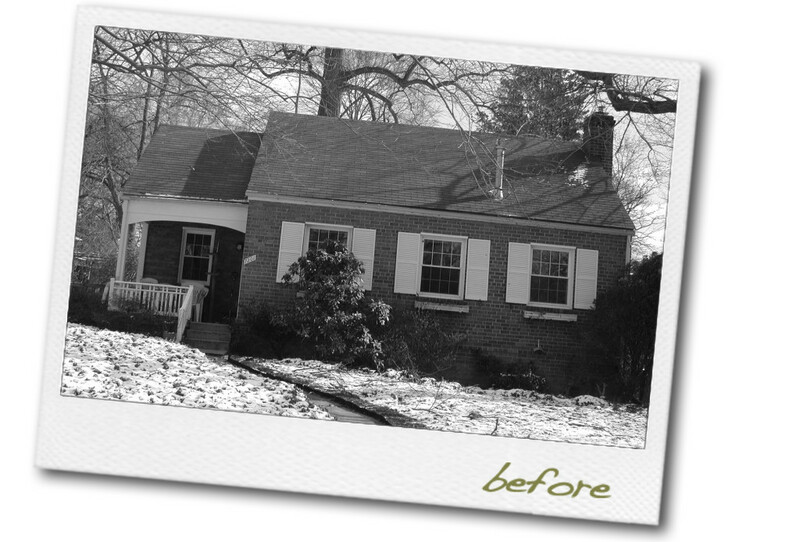 Located on a corner lot, the existing home was built on an angle, leaving very little room to expand. 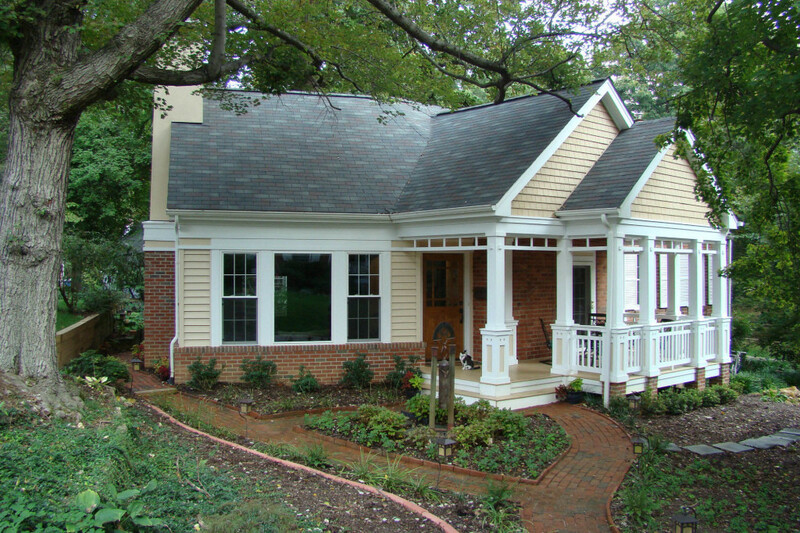 The renovation includes a prominent new front porch and entry at the connection of the existing home to a new angled foyer and living room addition. 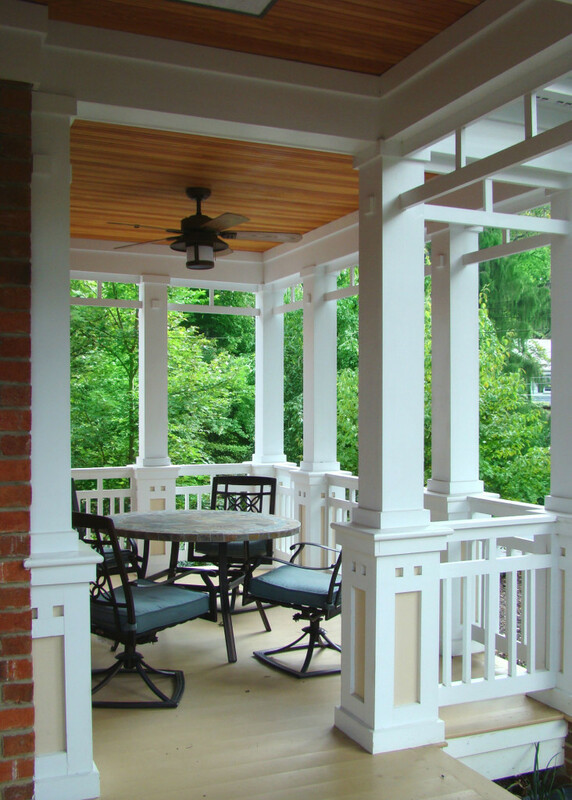 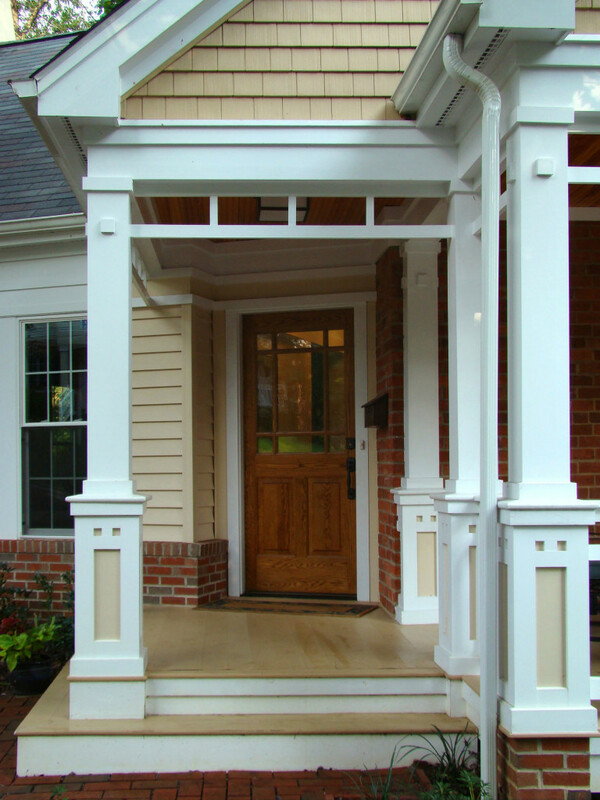 Traditional detailing at the new porch provides a distinctive character for the modest home.